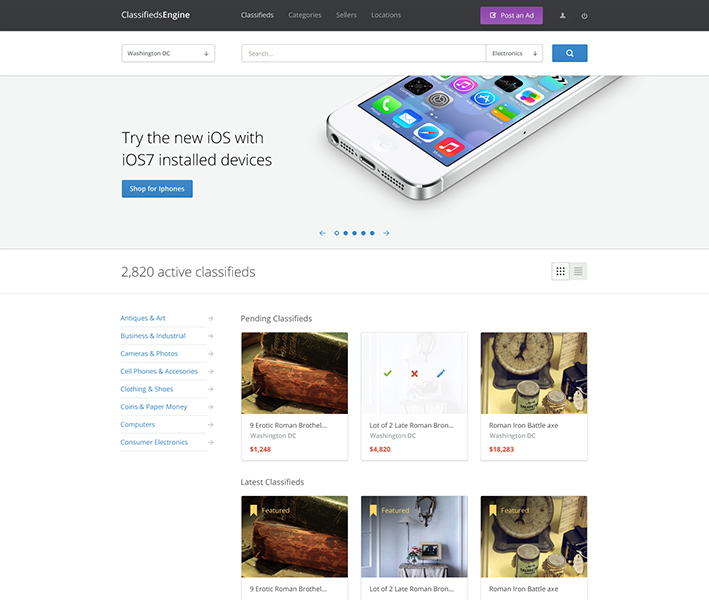 Futuristic designed Classified Ads Theme. 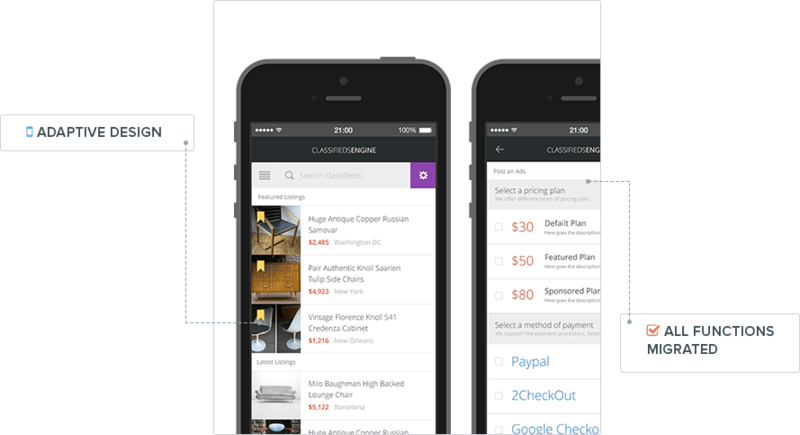 Tailor-made to monetize ads. 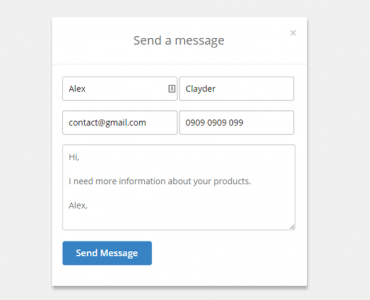 Comes with simple user experience and powerful built-in design tools. Absolutely awesome! Love the markers on the map. Looks absolutely amazing, the sweat blood and tears your team put into this product was well worth it! Cheers to you! 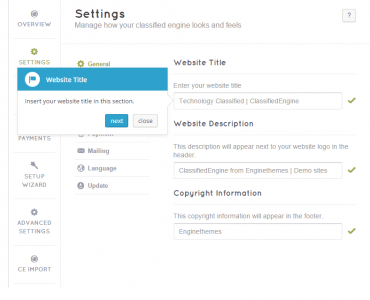 How ClassifiedEngine works for your site! 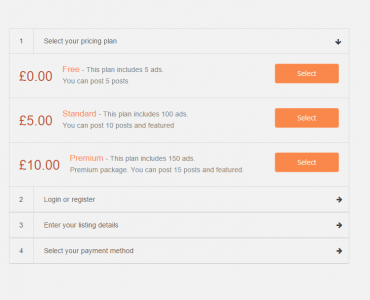 Charge for posting ads based on different rates of single or premium plans. 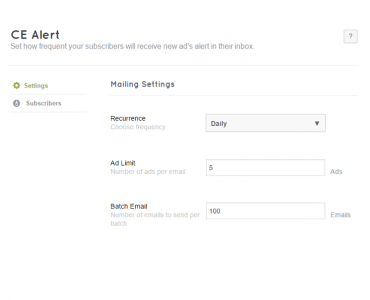 Ads automatically expire after the set deadlines. 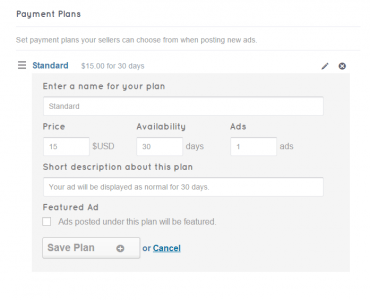 Featuring ads get more monetary reward: Create premium plans with featured ads included. 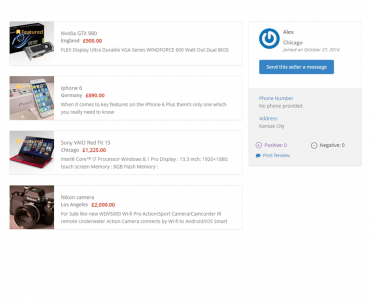 Offer ad spaces: Using the widget and sidebar system to display advertisements. Different positions are provided. 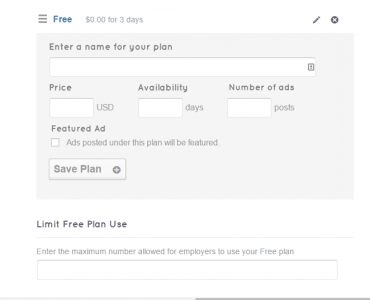 4 continuous & clear steps for an easier ad posting flow: Log in to your account, click “post an ad” and follow the guidelines to post ads successfully. 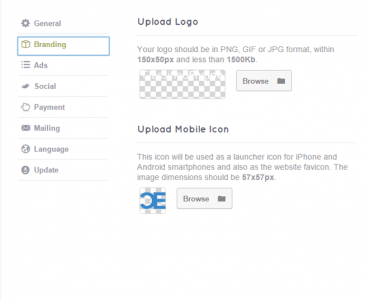 Upload photos for an appealing ad display: Attractive photos will increase the interaction with potential customers. 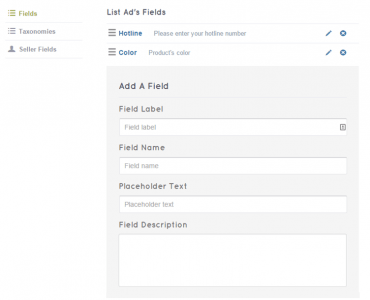 Add more custom fields using CE CustomFields extension: Create more fields to your posting forms and get as much information as you need. 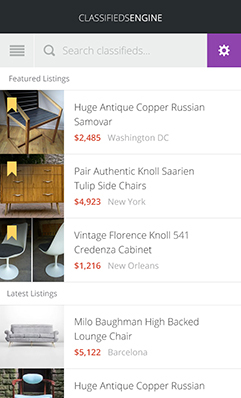 Ad Search, Filtering, Load more: delivers a thorough and comprehensive search Just insert a keyword and choose the recommended one without hitting “Enter” button. 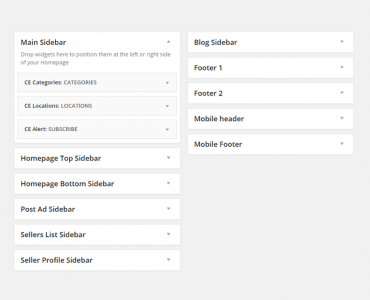 Grid view or List view. Sort by Featured, Latest or Popular. 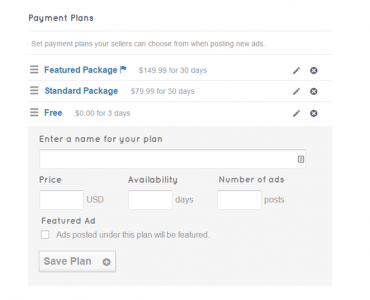 Simply choose the option to decide how the ads will be displayed and filtered. 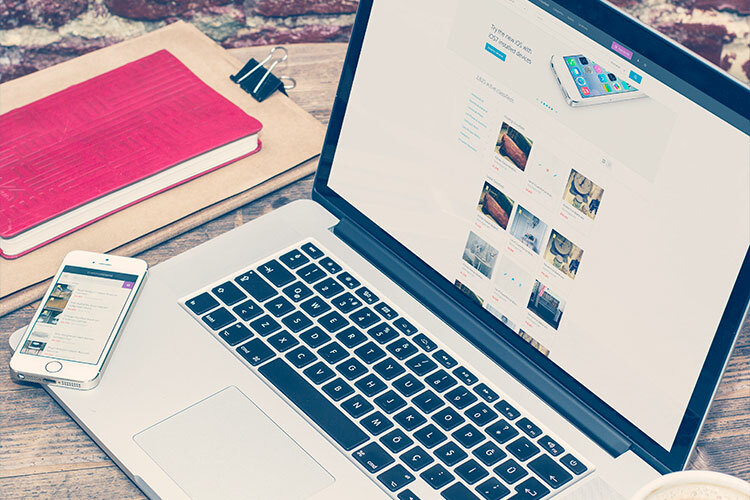 You can control everything on your site. 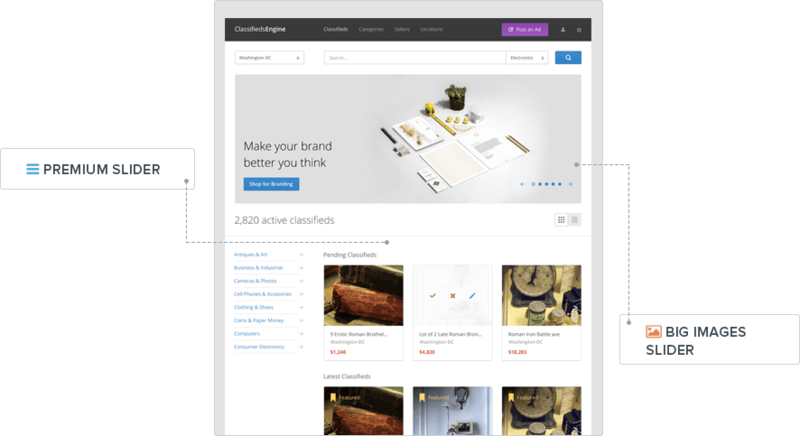 View all details clearly: ad descriptions, company information, other meta data. 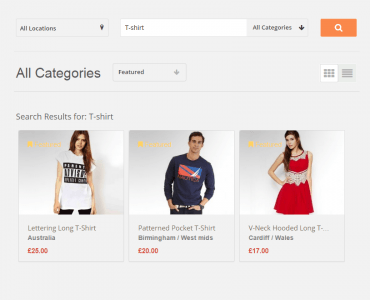 Click on an ad, users will be redirected to its detailed page including all the main information. Photo Slider on top. Attract your viewers. A picture is worth a thousand words. 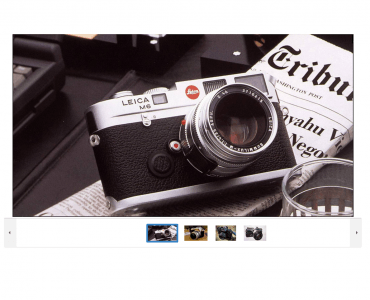 A big product image will be displayed above of the ad and capture users’ attention in seconds. 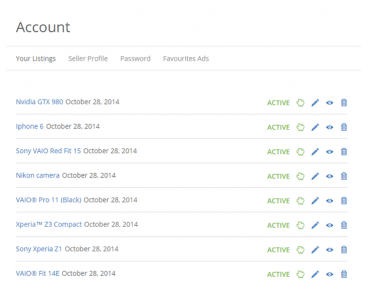 Some relevant ads will appear at the end of each ad, users then can view and compare them. 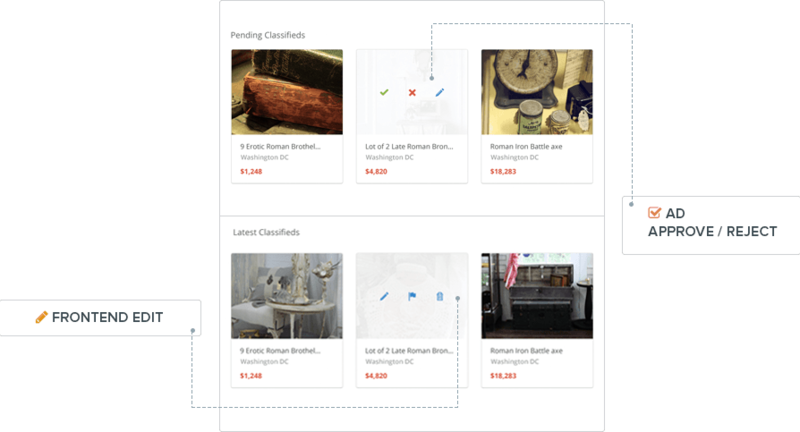 Simple & Effective Search support when browsing seller list Simply insert the key word and let the system do the hard work for you. 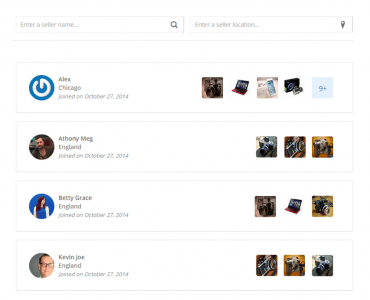 Sellers have their own profiles listing all their ads for other users to view If users feel interested in any seller, they can click on this seller’s profile and view all their ads. Review an ad. 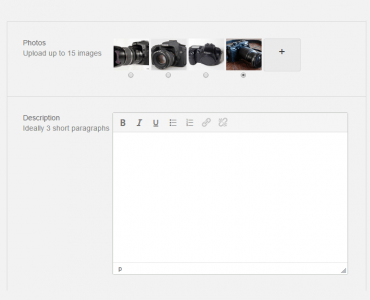 Give a positive or negative feedback with detailed comments. 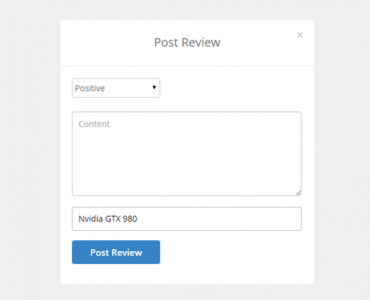 Users have the rights to give comments and ratings for any ad through the review section. 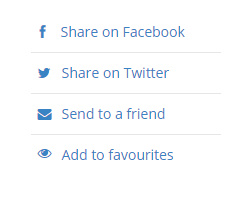 Social sharing. Email a friend. Add to favorites. Taking advantage of social network, users can quickly share the ads to their online community. 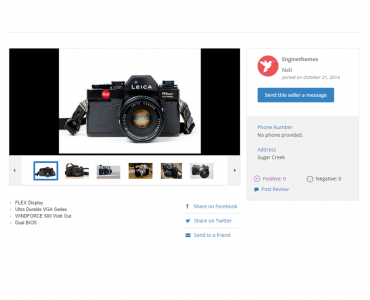 Users can directly contact the seller using private message system. They then can have a more detailed communication. 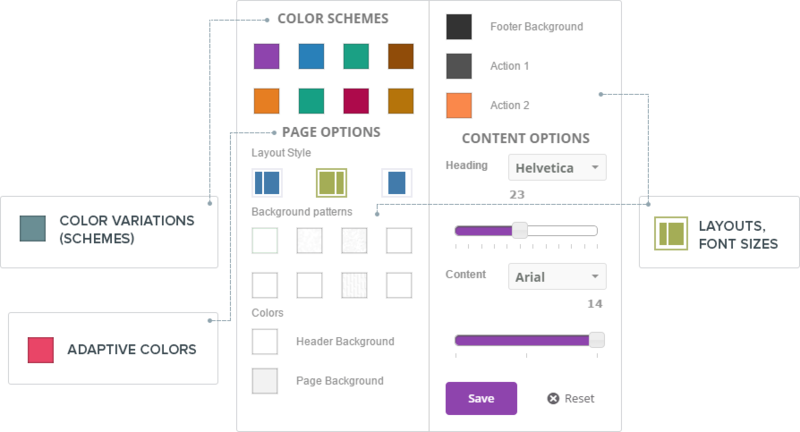 We design a dedicated version for the small screens. 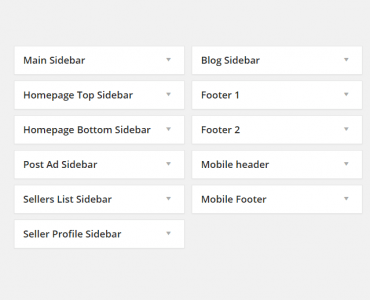 The theme included a premium slider for preparing the first impression for your users in the homepage. 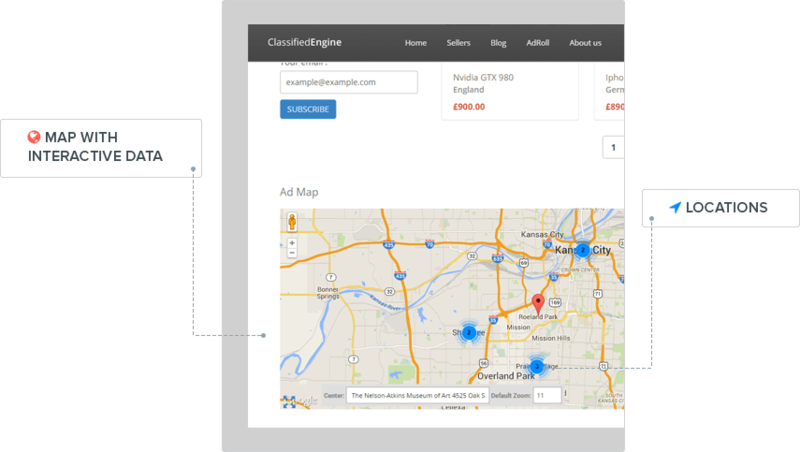 Include a map with interactive data in your homepage (extension CE AdMap needed). 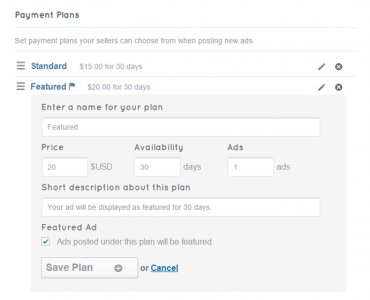 Free/Normal/Featured plans: Offer different payment package plans for your users to post ads. Your creativity is the only limitation. 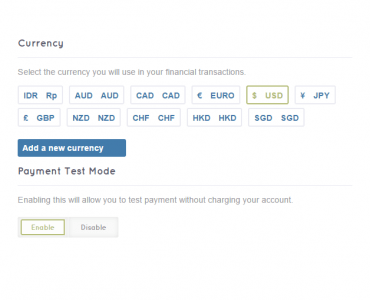 Currency settings: Select the currency you will use in your financial transactions. 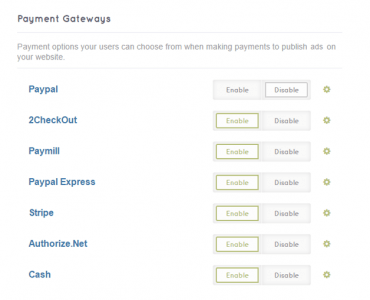 Integrate popular gateways such as PayPal, 2Checkout into your directory site, plus manual payment. 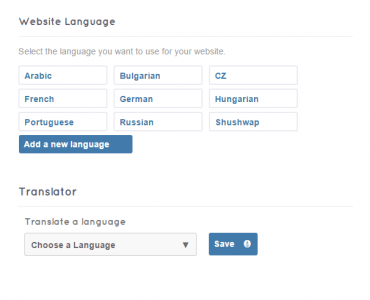 A built-in translator is included for translating text right in your dashboard With built-in translator supported, you can quickly translate and change text without any hassle. 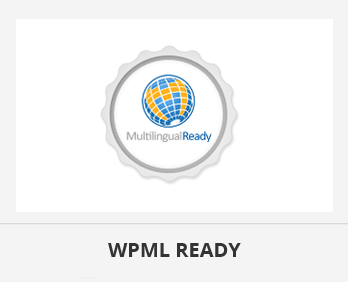 WPML-compatible: make your site truly multilingual Using WPML plugin to use more than one language on your site. Let it reach out to more users. 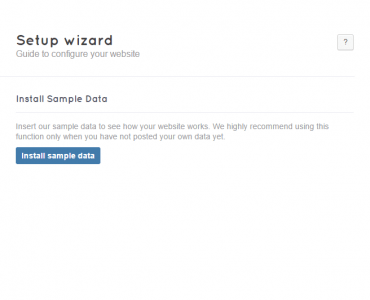 Setup wizard: Install your site in just 5 minutes, activate the setup wizard and let it guide you steps by steps. A ready tour to introduce main settings of the theme: Never have to worry even when you’re a newbie, a welcome page and guide tour will lead you through all the settings. 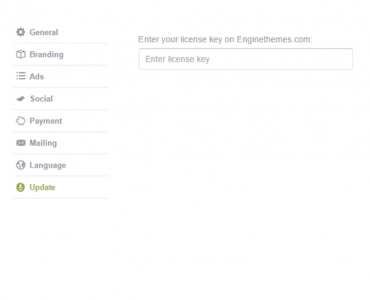 Already own ClassifiedEngine? Check out extension upgrades here! 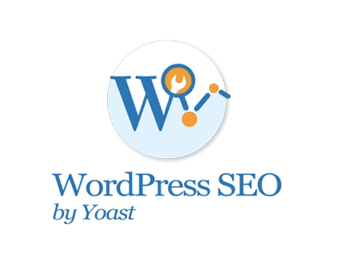 Build your own script classifieds website in just few clicks. 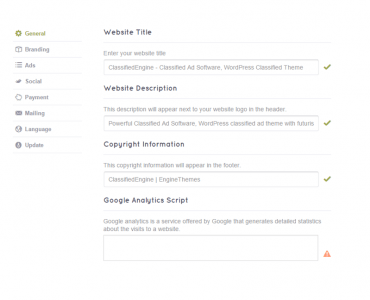 Our Classifieds Script theme comes with powerful, versatile & powerful features. It’s the best Classified Script and best classified software to create your own profitable classified ads script website. 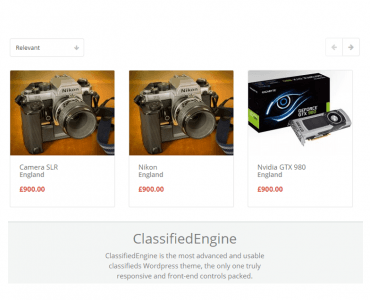 ClassifiedEngine is a reliable, easy-to-use classified ads software. 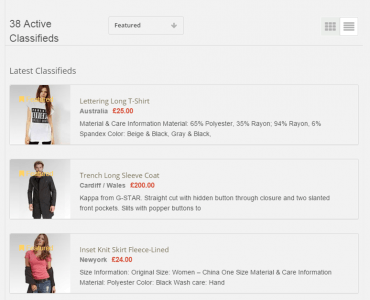 Download this classifieds software and get started! Subscribe to our blog for more product reviews and support.